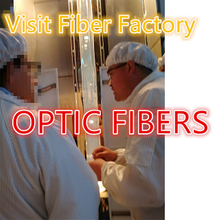 Plastic optical fiber: 98/1000μm for automotive control. Q: What is the transmission distance of multimode single mode fiber optic cable? OM1 (A1b) US standard: Refers to a 62.5um core-diameter multimode fiber with a full injection bandwidth of 200/500MHZ at 850nm or 1300nm. Gigabit transmission distance is 275 meters. OM2 (A1a) European Standard: A 50um core-diameter multimode fiber with a full injection bandwidth of 500/500MHZ at 850nm or 1300nm. Gigabit transmission distance is 550 meters. Mainly used in LAN, 300-500 meters range. G.651 Long-wavelength multimode fiber (ITU-T G.651) 50/125 μm. The attenuation coefficient is the same as that of G.652C, that is, the system can work in the 1360~1530nm band. The zero-dispersion wavelength is at 1310 nm, and the attenuation is minimal at a wavelength of 1550 nm, but has a large positive dispersion of about 18 ps (nm/km). G.652.D is the most rigorous and fully backward compatible of all G.652 levels, and is structurally indistinguishable from ordinary G.652 fiber. The reason for this difference is in manufacturing technology. However, the attenuation coefficient is lower at 1550nm, eliminating the water absorption peak near 1380nm, working in the 1360~1530nm band. G.652 The earliest practical single-mode fiber, 95% of the existing routing is such fiber, so it is called a conventional single-mode fiber. The lowest price and the most mature technology, the main disadvantage is that the dispersion coefficient is large in the 1550 band, which is not suitable for long-distance applications above 2.5Gb/s. G652 single-mode fiber is the largest fiber in the world (about 70% of the fiber) and is called "conventional single-mode fiber." It has two windows of 1550 nm and 1310 nm at the same time. The zero dispersion point is near the 1310 nm window and the minimum attenuation is at the 1550 nm window. Its characteristics are zero when the wavelength is around 1310 nm when designing and manufacturing, and the loss is the smallest at 1550 nm, but the dispersion is the largest. The attenuation of the 1310 nm window is 0.3 to 0.4 dB/km, and the dispersion coefficient is 0 to 3.5 ps/nm.km. The attenuation of the 1550 nm window is 0.19 to 0.25 dB/km, and the dispersion coefficient is 15 to 18 ps/nm.km. In addition to the 1310nm and 1550nm wavelength regions, the G652C single-mode fiber extends the wavelength range to 1360nm to 1530nm. Main use: G652 single-mode fiber has the advantages of low internal loss, large bandwidth, easy upgrade and expansion, and low cost. 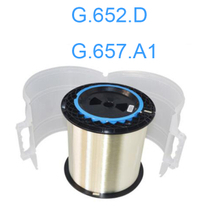 G652 single-mode fiber can be widely used in high-speed, long-distance transmission, such as long-distance communication, trunk, cable TV and loop feeders. G652 single-mode fiber is suitable for all kinds of fiber optic cable structures, including fiber optic ribbon cable, loose-layer stranded cable, skeleton cable, center bundle tube cable and tight cable. It has excellent bending resistance and its bending radius is 1/4 to 1/2 of G.652 fiber. 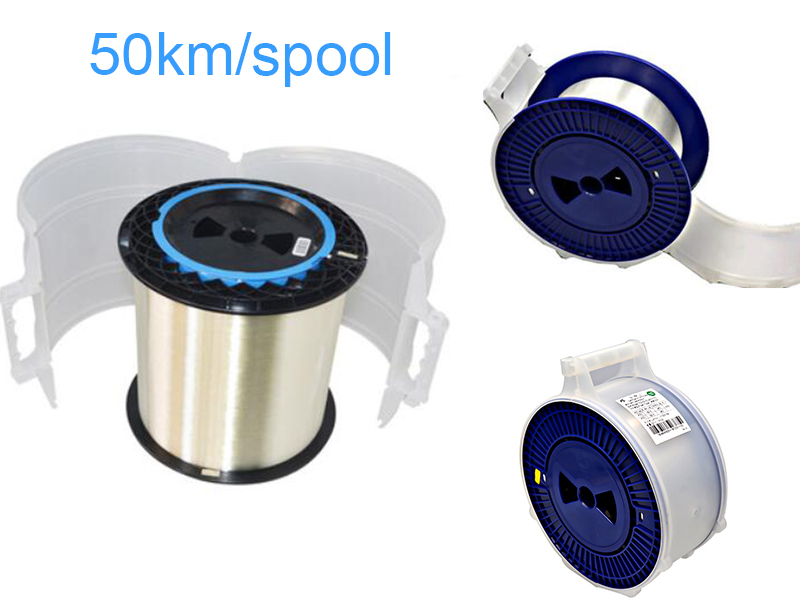 Mainly used for FTTH fiber to the home, and small bend radius conditions. Mainly do some air blowing micro-cable; FTTH such as leather cable, DAC cable. G.657A: Transmits 1260, 1310, 1380, 1550, and 1625 nm wavelengths (O, E, S, C, L) and is fully compatible with G.652D.